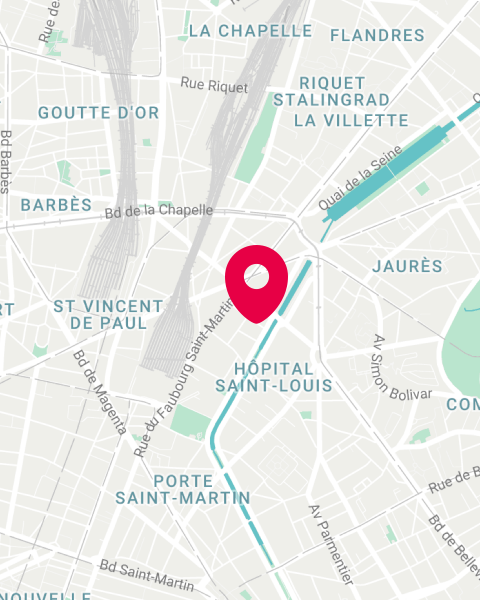 Our office is located at 14 rue Alexandre Parodi, in the tenth arrondissement. In a former corsets factory, with Eiffel architecture, and we have installed a new kind of factory: our 45 employees work daily to boost the innovation ecosystem in Paris’ Region. You wish to organize a turnkey event? A meeting or a workshop? A cocktail party? An intensive week in immersion? Each year we organize and host over 100 workshops, conferences, afterworks or evenings. With its large patio topped by a glass roof, its corridors and glassed-in offices, our vast and unique building is ideal for hosting your events. The space is composed of work offices dedicated to the permanent teams, a corner lounge, some desks for rent for our residents and a fully privatizable ground floor with two large meeting rooms and a central nave. We put everything at your disposal: furniture, sound and video equipment,… and also accompany you in the organization of the evening: equipment rental, catering, communication, hosts / hostesses etc..